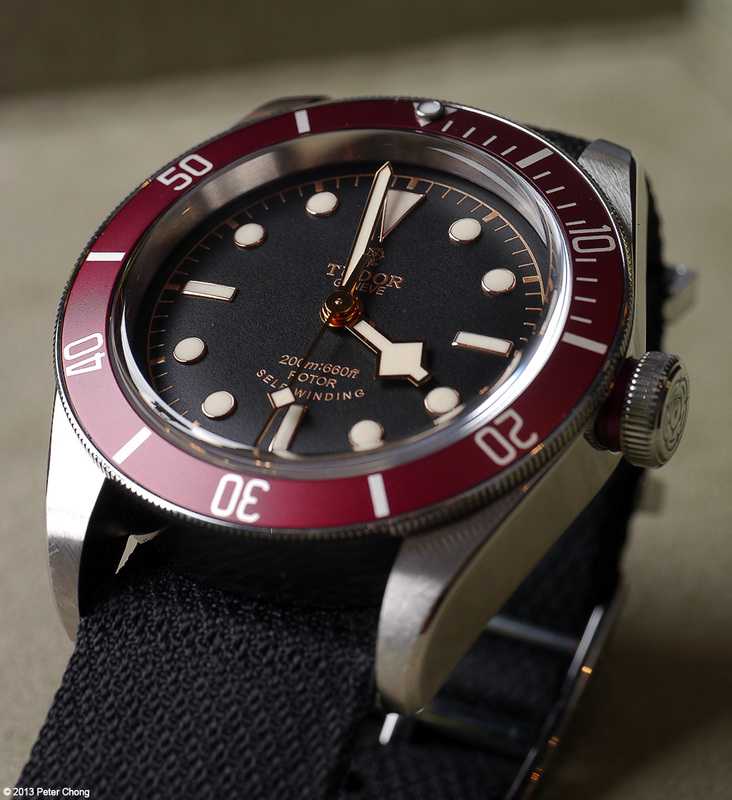 Continuing on the GPHG winners...today's feature is the Tudor Heritage Black Bay. As usual, technical information can be found at the official website here. 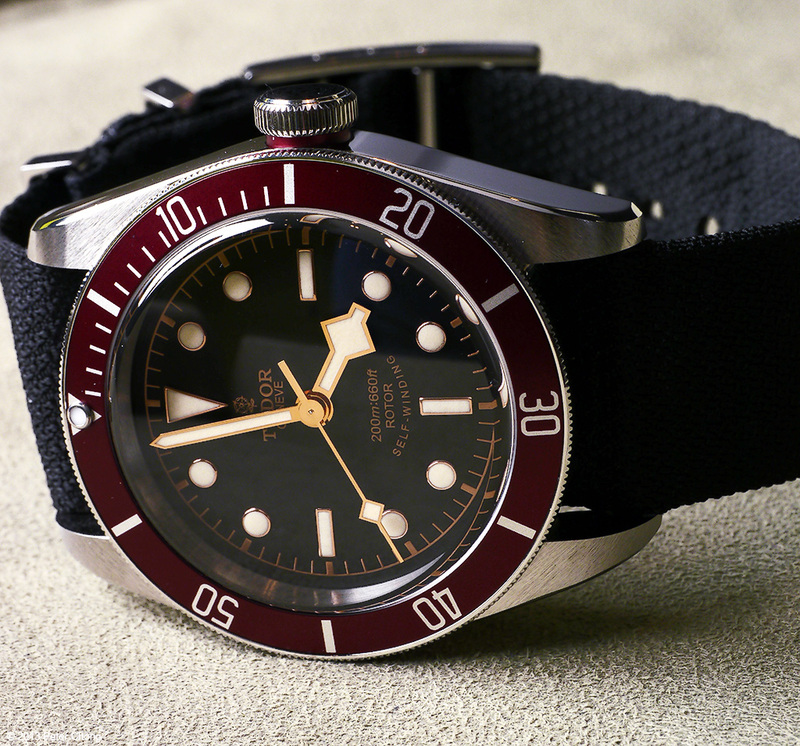 Looking almost like a NIB vintage, the Tudor is a true diver's watch, created for diving, and totally fitting the role. The watch first appeared in 1954, and the new issue recreates teh domed dial, with the unusual burgundy bezel and snowflake hands.